Delhi HC grants ex-parte injunction restraining Cobrapost from publishing details about willingness of media houses to run communally polarising stories in exchange for money. New Delhi: In a rare instance of one media house going to court to restrict the press freedom of another, the Dainik Bhaskar group on Thursday obtained an ex-parte order from the Delhi high court restraining Cobrapost from releasing an incriminating documentary showing how Dainik Bhaskar and around two dozen of the country’s leading media houses had apparently agreed to an undercover reporter’s business proposal offering money for news coverage designed to polarise voters in favour of Hindutva. The web portal, which had scheduled the release of its investigation at a press conference for 3 pm on Friday, May 25 was served the order issued by Justice Valmiki J. Mehta on Thursday evening. Cobrapost was also restrained from releasing the contents of an email it had sent to the Bhaskar group on May 10, 2018 “and other related telecommunications”. Cobrapost editor Aniruddha Bahal told The Wire that the email referred to was the detailed questionnaire sent to Dainik Bhaskar seeking their response to various statements its senior management officials had made to the portal’s undercover reporter. In the first part of its exposé, Operation 136, Cobrapost’s reporter, Pushp Sharma, posed as a religious activist, Acharya Atal, claiming to represent an unnamed “sangathan”, or organisation, whose goal was to help the Bharatiya Janata Party in the 2019 Lok Sabha polls by promoting Hindutva through the media, polarising the electorate, and maligning the BJP’s rivals through slanted stories. Several media houses were caught on camera agreeing to ‘Acharya Atal’s’ proposal for communally slanted paid news. The number ‘136’ in the title of the documentary is a reference to India’s poor ranking in the world press freedom index. As per the terms under which reporters had an opportunity to review the material gathered by Cobrapost for the second part of its exposé prior to the court’s injunction, The Wire is not in a position to reveal in advance the names of the organisations or individuals who are seen succumbing to the temptation of offering news space for money. What is clear, however, is that the creme de la creme of the media industry appears compromised. 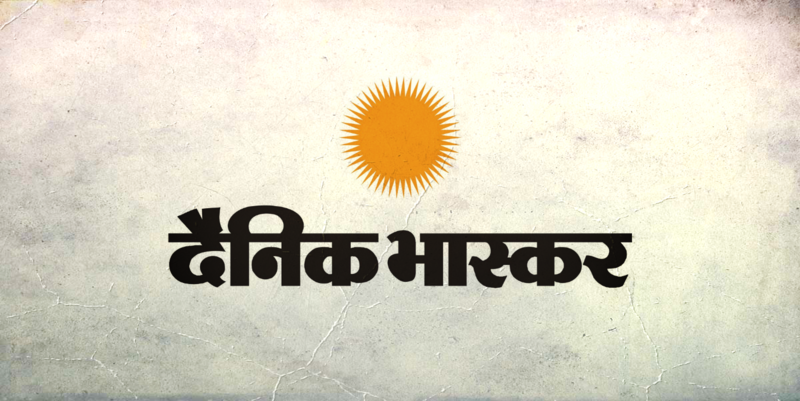 In granting an injunction without giving Cobrapost a chance to be heard, Justice Mehta appears to have accepted Dainik Bhaskar‘s claim that failure to restrain the release of the documentary would cause “irreparable loss and injury” to the newspaper. While Cobrapost said in a press release issued late on Thursday night that it intends to challenge the injunction on Friday morning, it added that in the event the stay is not vacated, it would be unable to hold its press conference as originally scheduled. Legal experts also expressed surprise at the high court’s decision to grant the Bhaskar group an injunction. “Ex-parte judicial injunctions are amongst the most serious threats to free speech in India today,” Gautam Bhatia, a lawyer and author of the 2015 book, Offend, Shock or Disturb: Free Speech Under the Indian Constitution. Karuna Nundy, a Supreme Court advocate who has actively litigated on free speech issues, told The Wire the injunction granted to Dainik Bhaskar was a “worrying departure” from norms laid down by the Supreme Court. “A full bench of the Supreme Court held in Brij Bhushan’s case in 1950 that pre-censorship of a journal is a restriction on the liberty of the press which is an essential part of the right to freedom of expression,” she said. At stake then was the right to publish of the RSS-backed publication, Organiser. “The Supreme Court there was hearing a case of national security. The stakes here are much lower – alleged defamation of a company. The high court’s interim stay order is a worrying departure from the Supreme Court’s well established principle. It could have asked the company to find its remedies in law after publication,” she added. “It is also argued on behalf of the plaintiff that it is not necessary that any and every talk of an agent or employee or staff of the plaintiff company necessarily should be taken as that of the plaintiff company itself and which has a separate and independent existence apart from individuals who may be holding different positions in the plaintiff company”. This suggests at least some of its employees might have been recorded making offers or statements at variance with the ethical standards expected of the media. Though it is very hard to make sense of Justice Mehta’s prose, what the Bhaskar group’s counsel, Neeraj Kishan Kaul, appears to be saying is that the Cobrapost‘s exposé will incorrectly suggest their newspaper was prepared to engage in fake news or news reflecting a “particular ideology”. Kaul also appears to have argued that when a newspaper subscribes to an ideology that is not illegal – the presumption here is that he means the ideology of the ruling party and of Hindutva – then it may very well publish material in consonance with that “particular ideology”. In Part I of Operation 136, Cobrapost had reported how several media house managers had told their undercover reporter they supported the BJP’s ideology and would be happy to run paid news on its behalf. In all cases, of course, a hefty fee was also discussed.